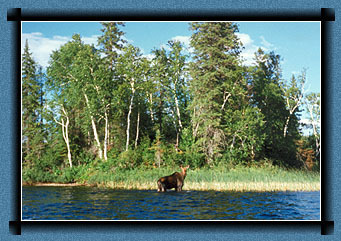 Flame Lake Lodge is located close to Chapleau, Ontario. 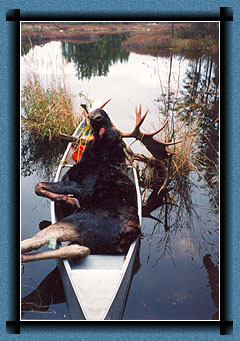 The Chapleau area has always been known for excellent Moose Hunts. We only take a few hunters per year to ensure an extremely high success rate and to make sure Moose Hunters receive the best customer service available. Non-residents can calf hunt here at the lodge; but, currently adult moose tags are unavailable due to the Ontario Ministry of Natural Resources strict moose management program. Please inquire for more information. 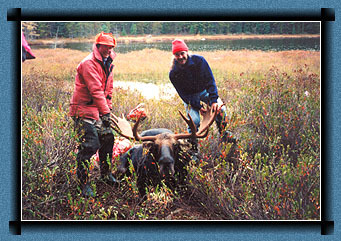 All hunters need to bring a hunting license from their own state or province. All rifles must have a trigger lock and be locked in a gun case between 1/2 hour before light and 1/2 hour after dark.